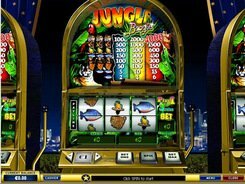 The three-reel one-line Jungle Boogie slot game is very easy to play. 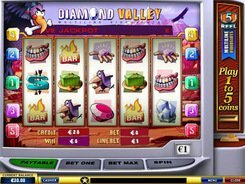 Monkeys, cheetahs, parrots and other jungle animals run, hop and fly as you spin the reels, cheering you up and enlivening your gaming experience. 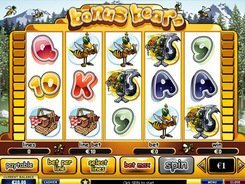 The slot is ideal for low betters as the minimal stake is just 50 cents per spin. The betting ceiling is not high either fixed at $15. Regardless failrly low stakes, you stand a chance of winning a good deal of money. Three tigers on a payline will move your bankroll up by x4000 times the bet. 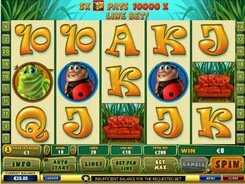 Monkeys pay out x1500 your bet if three of them occur on a payline. 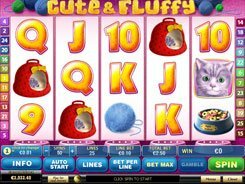 So, you can have a pretty good time playing this funny slot machine while stepping your winnings up. PLAY FOR REAL MONEY!